Cambridge Sensotec has been supplying OEM gas analyser solutions for over ten years now. Each OEM customer is given a bespoke scope of supply to match their exact requirements. 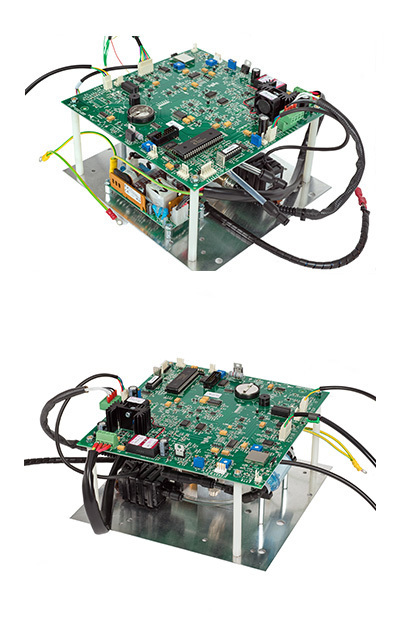 We produce several variations of our OEM electronics; removing unwanted components and features to keep costs down and only give the customer the functions they actually need. All cables, power-supplies, board mounts and sensor manifolds are tailored to exact specification, and cables are provided at the correct length required. 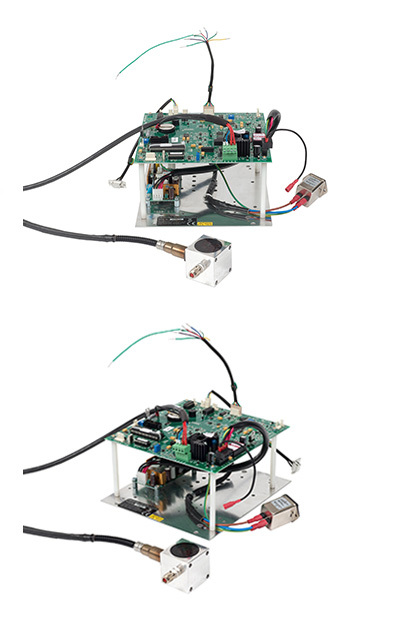 We have listened to our customers who need smaller electronics to fit into ever increasingly compact housings, and have spent almost two years developing our RSB (Reduced Size Board) which is fraction of the original OEM board size. The board has all the original OEM features as well as significant improvements and new functions making it more flexible than ever. We have adopted the industrial standard 24V as the power requirement, and Modbus-RTU as the coms protocol, making it a true OEM product designed as such from ground up. In fact it performs so well we are planning to adopt it as our main mother board for all our Rapidox oxygen gas analyser range in the near future! The Rapidox 2100-OEM-RSB (Reduced Size Board) is a special miniaturised 24V circuit board version of our existing high-performance zirconia oxygen (O2) analyser. The more compact design (4.5″ x 3.0″) allows integration into the tightest of spaces yet comes with the exact same performance specs and features of our existing OEM analyser. 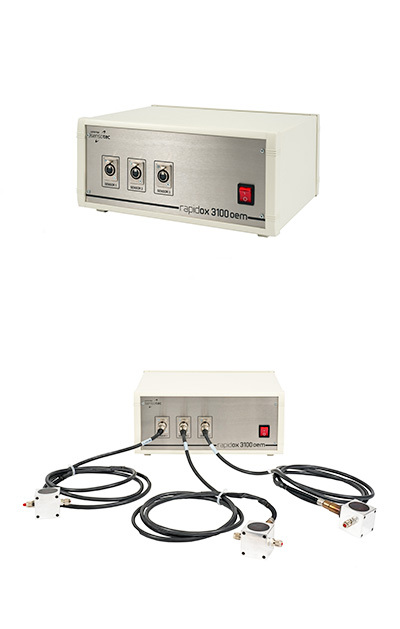 The board is fitted with a robust cabled zirconia sensor, which is ideal for providing fast and accurate remote in-situ gas analysis over the full oxygen range 10-20ppm to 30% O2. The OEM analyser can be supplied in a custom DIN rail enclosure, with or without local display and keypad. The sensor cable can be made to any length up to 25m with a choice of mounting options including aluminium and stainless manifolds and vacuum fittings (ISO-KF and CF). It has fully programmable analogue (voltage and current) outputs and alarm relays as well as RS232 / RS485 digital signalling as standard. In addition to the standard Rapidox digital communications protocol and software, Modbus-RTU is included as standard. The analyser is designed specifically for seamless integration to PLC systems. The Rapidox 1100 OEM is a cost-effective oxygen (O2) sampling gas analyser fitted with a zirconia oxygen gas sensor and sample pump. Specifically designed to measure ppm measurements in the 0-30% oxygen range at ambient temperature, the gas sample is pumped through the sensor via a tube allowing the unit to be located some distance from the measurement point. The OEM can be supplied with an optional local display or keyboard and has fully programmable analogue (voltage and current) outputs and alarm relays as well as RS232 / RS485 digital signalling as standard. In addition to the standard Rapidox digital communications protocol and software, Modbus-RTU is included as a standard option. The OEM is designed specifically for seamless integration to PLC systems. In rare instances where a zirconia sensor is unsuitable a substitute OEM electrochemical sensor may be used instead. Electrochemical sensors are more suitable for gases where VOC’s, flammable gases, CO, H2 or He are present in the gas sample. Both ppm and percent versions are available. Please contact Cambridge Sensotec for further information or to discuss your requirements. The Rapidox 2100 OEM is a high-performance oxygen (O2) OEM analyser fitted with a robust remote zirconia sensor on a cable, which is ideal for providing fast and accurate in-situ gas analysis over the full oxygen range 10-20ppm to 30% O2. A bespoke configuration and scope of supply service for customers allows for a flexible, seamless and cost-effective integration into machinery, products or processes. The Rapidox 2100 OEM is a high-performance oxygen (O2) OEM analyser fitted with a robust remote zirconia sensor on a cable, which is ideal for providing fast and accurate in-situ gas analysis over the full oxygen range 10-20ppm to 30% O2. The OEM can be supplied with a variety of sensor fittings and cable lengths together with an optional local display or keyboard. It has fully programmable analogue (voltage and current) outputs and alarm relays as well as RS232 / RS485 digital signalling as standard. In addition to the standard Rapidox digital communications protocol and software, Modbus-RTU is included as a standard option. The 2100 OEM is designed specifically for seamless integration to PLC systems. The Rapidox 3100 OEM-3 is a special three-channel version of our high-performance oxygen (O2) OEM analyser. Supplied in a boxed controller, the Rapidox 3100 OEM comprises three individual zirconia sensors on bespoke length cables with several options for fittings. All three channels are controlled by a single RS485 communications link to a PC or PLC. Ideal for providing fast and accurate in-situ gas analysis over the full oxygen range 10-20ppm to 30% O2 from three separate remote locations. Zirconia oxygen sensors are extremely rugged and particularly suitable for monitoring inert atmospheres and aggressive industrial applications directly within manufacturing processes such as metal 3D printers, soldering ovens and furnaces. High temperature and vacuum applications are also suited to this model. The 3100 OEM system is housed in a metal enclosure with quick release sensor fittings. Communications to a PC are made via a high speed industrial RS485 controller box. It is possible to run two complete systems from a single high-spec PC, providing users with up to six channels. A bespoke configuration and scope of supply service for customers allows for flexible, seamless and cost-effective integration into machinery, products or processes. The 3100 OEM can be supplied with a variety of sensor fittings and cable lengths together with an optional local display or keyboard. It has fully programmable analogue (voltage and current) outputs and alarm relays as well as RS485 digital signalling as standard. In addition to the standard Rapidox digital communications protocol and software, Modbus-RTU is included as a standard option. 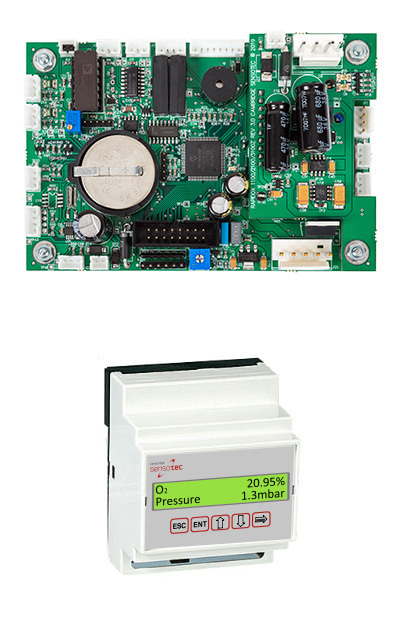 The OEM-3 is designed specifically for seamless integration to PLC systems. Please contact Cambridge Sensotec for further information or to discuss your requirements.